Easter is just around the corner. Whether you're religious or not, there are plenty of festivities going on that are guaranteed to put you in a celebratory mood. From Easter egg hunts for the kids to boozy brunches for the adults, here's the ultimate guide for spending a memorable Easter with your family and friends in Shanghai. This Easter weekend don't miss your chance to attend our That's Shanghai and Urban Family Easter Spring Bazaar at ArchwalkShanghai. It will be a fantastic Egg-stravaganza with lots of Easter activities going on that will provide fun for the whole family. Attendees can join in on events such as an Easter egg hunt, a live concert, DIY egg painting, a parade and a rabbit dance performance. There will also be a spring bazaar plenty of festive food, drinks, gifts and much more! Also, you will receive a special Easter Egghunter Card to collect stickers from booths or select Archwalk stores, which you can exchange for special goodies if enough are collected. Click here to register right now and receive a free Easter egg basket at the event! April 20-21,11am-5pm; Free Entry. Archwalk Shanghai. That's Shanghai is teaming up with L' Avenue to host a series of festive, kid-friendly Easter events on Saturday and Sunday. There will be lots of games to keep your little ones entertained including Mini Rabbit Golf, Animal Hockey, Lucky Easter Egg Brain Teasers and more. Kids (and parents) can also make their own DIY Easter baskets. You can purchase your tickets right here. April 20, 1.30pm-3pm, 3.15pm-4.45pm. April 21, 1.30pm-3pm; RMB59-99. L'Avenue. BLU restaurant at the Amara Signature Shanghai hotel is throwing an Easter Brunch on Sunday. There will a free flow on soft drinks and one glass of sparkling wine. Kids below 12 can dine for free with a paying adult, and there will be lots of fun activities going on such as an egg hunt, egg painting and a cooking class. Tickets are RMB228 per person via thMart. April 21, Noon-2.30pm; RMB228 per person, free for kids under 12 (with paying adult). Amara Siganture Shanghai. If you want to get a head start on celebrating Easter before the weekend, Salon de Ville is holding a week-long luxurious Easter afternoon tea. They have specially-tailored treats such as Rabbit Puffs, Carrot Cheesecake and Egg-Shaped Red Berry Macarons that are paired nicely with a selection of teas that will get anyone into the Easter spirit. April 7-21, 2pm-6pm (Mon-Fri), 1.30pm-6.30pm (Sat-Sun); RMB338 per person (Mon-Fri), RMB388 (Sat-Sun). Salon de Ville, Waldorf Astoria. This elegant setting at The Sukothai Shanghai is ideal for an Easter afternoon tea where nibbles include Mini Parma Ham Sandwiches, Oven-Baked Foie Gras Buns and over 15 types of desserts to indulge on. April 20-21, 2.30pm-5.30pm. URBAN Lounge. The Ritz Bar & Lounge of the esteemed hotel The Portman Ritz-Carlton is going all fantasy-themed with their Alice in Wonderland Easter Afternoon Tea. They will have a selection of finger sandwiches, sweet and savory treats and traditional English scones with raspberry jam, clotted cream and lemon curd that will make you feel like you're at the Mad Tea Party but in a more sophisticated setting. Guests can choose either a Classic Set which comes with a cup of hot or iced tea/coffee or a Premium Set which includes two glasses of Champagne. April 20-21, 2pm-6pm; RMB348 Classic Set, RMB768 Premium Set. The Ritz Bar & Lounge, The Portman Ritz- Carlton. If you're all about luxury and lush hotels, Patio ON 56 of the Grand Hyatt Shanghai is holding an Easter-themed afternoon tea with lots of delectable treats that are perfect for sharing with family and friends. April 21, 2.30pm.Patio ON 56, Grand Hyatt Shanghai. The luxurious hotel is throwing a special Easter family-style brunch on Sunday April 21 at their Arte Café. Expect a vast array of colorful dishes such as sashimi, sushi, crab legs, prawns and their signature Chao Shan seafood congee as well as a Western carving station and many sweet treats. Between April 19 and 21 there will also be a whole load of activities for the kids at the Easter Bazaar at Wuji Plaza, from handicraft making to face painting and a clown performance to Easter egg painting. April 19-21 Easter Bazaar, April 21 Brunch, all day; RMB556 Standard Brunch, RMB536 Early-Bird Brunch. Jumeirah Himalayas Hotel Shanghai. Kids and families can enjoy the Easter festivities that Abbey Road has to offer. During brunch time hours, there will be an egg-hunt, DIY card-making and face painting, plus a tasty Easter brunch for the foodies. April 20, 10am onwards; Free Entry. Abbey Road. The hotel's French restaurant, Sir Elly's is putting on a family-style Easter brunch where young diners can choose from their own unsparing children's buffet before taking part in a variety of fun activities in the Children's Corner including an egg hunt and an egg and spoon race. While the kids are entertained, parents can enjoy unlimited Deutz Champagne as part of an additional drinks package for RMB388. There will also be an Easter afternoon tea at The Lobby, Compass Bar and The Balfour at No.1 Waitanyuan where guests can munch on hot cross buns and a signature Peninsula carrot cake. Plus in keeping with all things sweet, you can purchase an expertly-crafted piece of chocolate art and win a luxury prize at The Peninsula Boutique. Prizes include a two-person afternoon tea voucher, The Peninsula Spa voucher and much more! All prices are subject to a 16.6 percent surcharge. April 20-21,11.30am-2.30pm; RMB688 per adult, RMB288 per child aged 4-12 years old. The Peninsula Shanghai. The Italian restaurant is going all out with their own Italian-themed Easter brunch party which will feature healthy salads, charcuteries, assorted cheeses and seafood platters that will transport you to the Mediterranean. April 20-21,11.30am-2.30pm; RMB408 per adult, RMB188 per child aged 6-12 years old. La Scala. Kids can enjoy a range of activities that Geneva is putting on over the Easter weekend including egg-hunting, DIY painting and more during brunch and dinner hours. April 20-21,10am onwards; Free Entry. Geneva. Mia Fringe is putting on a variety of specials at their Easter Brunch over the weekend, including an exclusive Bunny Mary cocktail. There will also be egg-painting for the kids and a chance to buy special Easter desserts and chocolates at the Mia Fringe Café. April 20-21, 11.30am. Mia Fringe. The neighborhood tapas and dessert place and bar is putting on a selection of Easter games for their children guests, with lots of little prizes to be won. For the adults, they have a spectacular Easter brunch in their courtyard happening all weekend. April 20-21, 11.30am. Commune Social. THE CUT Rooftop is a pretty cool place for drinking, eating and partying all night long, so they're pulling out the punches by putting on an Easter weekend brunch that's all about eggs, eggs, eggs. Starting at RMB48 there's a range of egg-straordinary dishes to choose from, from the classic Eggs Benedict to a special Quail Egg Salad and Norwegian Egg N' Fish with smoked salmon and dill. Plus, at 1pm on Sunday there will be an egg hunt on the roof terrace that's great for kids and adults alike. April 20-21,11.30am-5pm; Food Prices Vary, RMB158 Free Flow Option. THE CUT Rooftop. The various restaurants within The Kerry Hotel are all offering fantastic brunches and fun activities for the kids. 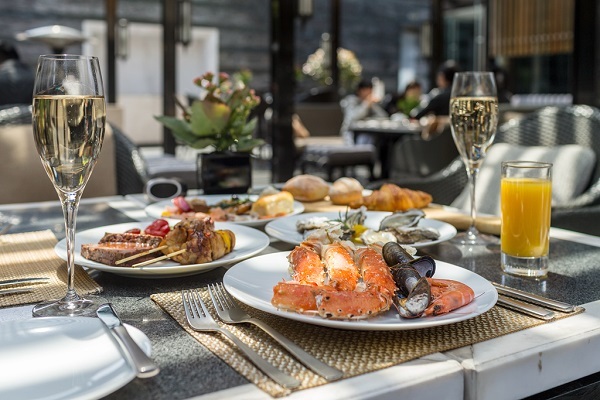 The COOK is offering Easter brunch at RMB388 per adult and RMB258 per child and you can purchase a free flow on Champagne for an extra RMB250. If you fancy something meatier, The MEAT is offering a brunch steak selection and seafood buffet at RMB428 per adult and RMB228 per child, and the price is inclusive of a free flow on craft beer, wine, soft drinks and fruit juices. Meanwhile, the kids can keep entertained in the Adventure Zone where two egg hunts will take place with the eggs coming with a special surprise inside them. The steak and seafood house is putting on a special Easter Brunch all weekend which includes yummy dishes such as Sliced Ham with fried eggs, potatoes and toast, their Deluxe Eggs Benedict and a Lobster and Avocado Omelet. There will also be a two-hour free flow on house drinks for RMB188 and live music between 1.30pm-2.30pm. April 20-21, 11.30am; RMB158 Brunch, RMB188 Free Flow. Shanghai Slims. The St. Regis Shanghai Jingan is throwing an Easter Sunday Brunch at its restaurant SOCIAL. Expect an extravagant buffet, special kids activities and free flow on selected wines, sparkling wines, Bloody Marys and fresh juices. Diners can enjoy unlimited access to the luxurious range of freshly imported seafood, Boston lobsters, King Crabs, Tiger Prawns and shucked oysters. Junior diners can choose from their own bountiful Children`s Buffet before joining in on a variety of fun activities at the Children's Corner, including egg hunting, a mini cinema, songs & rhymes and other fun activities. April 21, Noon-3pm; RMB588 net per adult, Complimentary for children under 12 years old. The St. Regis Shanghai Jingan. The culinary team at Grand Brasserie have been 'hopping' around the kitchen to prepare a special farm-to-table themed Easter brunch. Dishes to expect include a creamy Crab Cake Benedict with poached organic eggs, spinach and Hollandaise sauce plus cute bunny cocktails, an egg-soufflé station and a whole range of amazing buffet and a la carté options to make your Easter positively delicious. April 21,12pm-3pm; RMB676 (add RMB100 for free-flow Perrier-Jouët champagne) per adult, RMB238 per child aged 6-12 years old. Grand Brasserie, Waldorf Astoria. It wouldn't be brunch without a buffet and especially an Easter brunch buffet. The folks at Zeitgeist, therefore, will be serving all the classic Easter dishes such as Stuffed Eggs and Asparagus Salad, a Greek Lamb Leg and a Herb Stuffed Chicken Breast. There will also be a free-flow on house beer, prosecco, wines and Bloody Marys for RMB140. Kids can also join in on the fun with a bouncy castle and DIY Easter egg painting. This is a first for URBAN Café of The Sukothai Shanghai who are holding a festive Easter brunch with live cooking stations creating Southeast Asian Cuisines such as Thai Glass Noodle Salad and Vietnamese Beef Soup alongside a range of whimsical Easter desserts including Easter Eggs, Bunny Cakes and Fruit Cakes. April 21, 11.30am onwards; RMB408 per person, RMB108 per child aged 6-12 years old. URBAN Café . 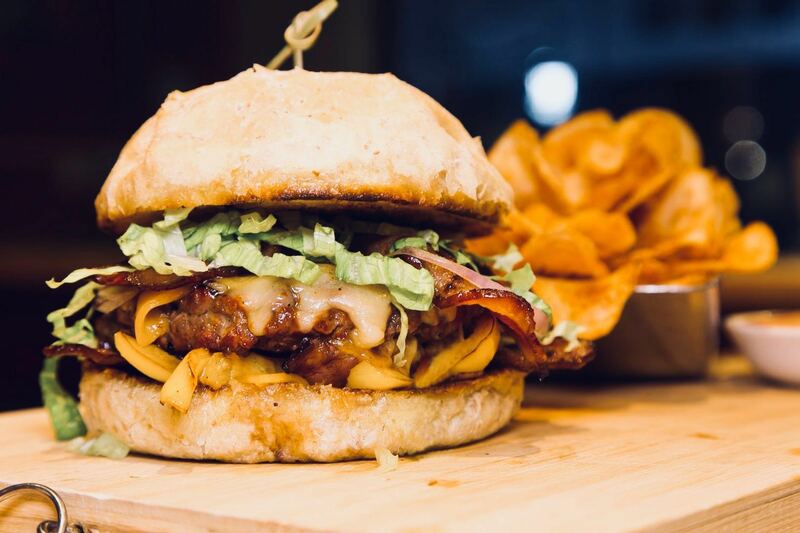 PHÉNIX eatery & bar's Easter brunch is definitely one if you have a sweet tooth because they will be showcasing Chocolate Eggs and Hot Cross Buns. But they also have savory lovers covered with their Slow Roasted Lamb Shoulder with Roasted Potatoes and Rosemary. It's bound to be a plentiful feast! April 21, 11.30am-2.30pm; RMB468 per person. PHÉNIX eatery & bar. The Brazilian restaurant is putting on a sizzling Easter brunch buffet at their locations in Tongren Lu, Biyun, Lujiazui and Zuchongzhi Lu on Sunday with all you can eat and drink options and live music. The star of the show will be the Deluxe Brazilian BBQ which will offer 20 different varieties of Brazilian BBQ cuts, plus premium Angus beef cuts such as ribeyes and sirloins as well as a lot of seafood. They're not forgetting about the kids, as there will be lots of fun activities on offer including egg hunts, face painting, clowns and egg painting. April 21, 11am-3.30pm; Half-price for kids under 1.4m and free for kids under 1m. Latina. The Westin has a bountiful fare of festivities going on this Easter Sunday. Kids can enjoy table-visits from the Easter Bunny, egg hunts and a bunny/egg drawing competition where prizes can be won. Adults can chill and sip on free-flow Veuve Clicquot Champagne for RMB798 per person and fill up on classic Easter foods such as Hot Cross Buns and handmade chocolates. Expect to see a range of live performances and a lucky draw where prizes such as bottles of Champagne and a giant chocolate Easter bunny can be won. If that's not enough, there will also be a dessert station where dessert chef Angel will tailor your own personalized Easter-themed cake, macarons and chocolates. How egg-citing! April 21, 11.30am-2.30pm; RMB798 per adult with free-flow champagne, RMB688 per adult without free-flow champagne and other alcoholic beverages, RMB368 per child 4-12 years old. The Westin Bund Center Shanghai. The Bavarian chain is putting on an Easter bonanza at their locations in Expo, Binjiang and Raffles City Changning. At Expo, the chefs will grill various BBQ classics at live cooking stations in the beer garden with a special children's buffet featuring an array of starters, mains and sweet treats. There will also be egg-painting, hunts and more to keep the little ones entertained. At Binjiang, guests can enjoy a special Easter a la carté menu featuring springtime and holiday classics such as White Asparagus Cream Soup and a Braised Lamb Knuckle. At Raffles, not only will there be lots of seasonal food, but fun activities such as egg hunts, egg painting and a potato sack race. Choose one or go to them all! April 20-21 (Raffles) April 21 (Expo and Binjang), 10am-3pm (Raffles), 11am-3pm (Expo and Binjiang); RMB98 kids menu (Raffles), Free for kids below 4 years old, RMB78 kids 4-10 years old, RMB258 per adult with an additional RMB160 for free-flow Paulaner beer, house wine, soft drinks, house wine, juices, coffee and tea (Expo). Paulaner. 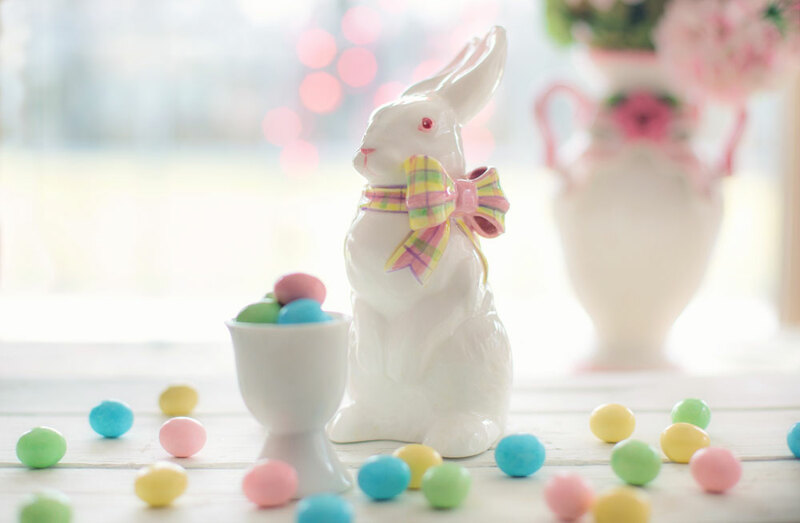 Grand Hyatt Shanghai is getting into the spirit of Easter with family fun such as Easter egg hunts, egg painting and movies, alongside a range of brunch specialties at Cucina ON 56, The Grill ON 56 and Grand Cafe. There is also free-flow Champagne offered at two of the venues. April 21, 11.30am. Grand Hyatt Shanghai. Shanghai Mamas are putting on a hearty brunch on Easter Sunday at the Mandarin Oriental Pudong, Shanghai. Included is a Beverages Package which consists of a free flow on soft drinks, juices, mineral water, house wines, beer, prosecco, coffees and teas, plus from RMB1,500 per night guests can opt to stay in an Easter Room for the night which includes breakfast and overlooks the river. Finally, they've gone to town with providing the kids with festive entertainment, because there will be a huge range of activities such from face painting and DIY Easter basket and foam egg making to an egg and spoon race and nail polish and fake tattoo parlor. April 21, 11.30am-2.30pm; RMB500 per person, RMB250 per child below 12 years old, Free Entry for kids below 3 years old, RMB100 per person for free flow champagne. Mandarin Oriental Pudong, Shanghai. There will be two Easter egg hunts taking place: one for the kids at 2pm and one for the adults, (which is actually an Easter Beer Hunt) at 4pm. There will also be an all-day brunch menu for the whole family. It's bound to be a HOPpy Easter! April 21, 11.30am. Stone Brewing Tap Room. Hop on over to the Four Seasons Hotel Pudong, Shanghai to enjoy an Italian buffet brunch at Camelia. Enjoy appetizers such as veal and beef carpaccio, or stop by the seafood station for delights such as salmon, tuna, snow crabs, king crabs and mussels. Do not forget to try the authentic pizza prepared by Italian Chef Nicola. There will also be plenty of Easter feast classics at the carving station, including roasted lamb, spring chicken and more. Kids will also have the opportunity to decorate their own eggs, with paints and brushes provided. Featuring something for both children and parents, this is sure to be a fun holiday meal for the whole family. April 21, 11.45am. Camelia, Four Seasons Hotel Pudong, Shanghai. Head over to either one of Big Bamboo's locations or Pistolera's Jinqiao branch this Sunday for a fun filled afternoon of Easter egg hunts, clowns and cookie decorating. The Easter egg hunt is open to children 12 years of age or younger. April 21, 12-3pm. Big Bamboo (Hongqiao or Jinqiao) and Pistolera (Jinqiao). There's Easter fun for the whole family at this old school American diner in Minhang on Sunday. There will be plenty of activities for the kiddies, including an Easter egg hunt, egg painting and more. Plus, expect surprises like a clown, balloons and free goodie bags. As an added bonus, kids eat for free all day long on Sunday. April 21, 11am-4pm. Drunken Hen. The Italian restaurant is hosting a Kids Pizza Party to celebrate Easter where kids can enjoy complimentary fun-filled activities such as egg hunts, face and egg painting and clowns. Plus kids will be able to make their own pizza using their favorite toppings and then get to eat their creations. April 21, 11am-3.30pm. Pizzeria Alla Torre. Laowaijie (LWJ) and Community Center Shanghai (CCS) in Hongqiao will host the first ever Easter Egg-Stravaganza held at Laowaijie. Stop by for this family-friendly Spring affair and enjoy all the free and small fee activities that will happen. Activities include crafts, bouncy castle, egg hunt, photo booth, basket creations and more. The egg hunt will be for children up to 12 years old and there's a chance to get your picture taken with the Easter Bunny. UN CAFFE BAR is holding a special Easter Great Egg-Scape for kids. Aimed at kids between 6-14 years old, parents are also welcome to attend and help their little ones. Kids will play and work together to solve challenges and puzzles to escape - or in this case, unlock their Easter basket and goodies - before a set time. There are four rounds of challenges in this game which are all age appropriate and Easter-themed. Get booking, because this event is open to a minimum of 20 and a maximum of 40 kids. April 21, 11.30am-2pm; RMB110 per kid including one panini and one drink. UN CAFFE BAR. As part of their new Easter chocolate collection "Les Jolis Coeurs," Pierre Marcolini has brought out these "Little Magicians" Chocolate Bunnies. Available in white, milk and dark chocolate, these enchanting little creatures poking out of a colorful paper hat are a perfect gift for a loved one this Easter. They are RMB228 each or you can get all three flavors as a set for RMB588. It wouldn't be Easter without traditional Hot Cross Buns, therefore the folks down at D.O.C. Gastronomia Italiana have been baking away and are giving out great deals on the baked goods. Pre-order via sam@docitalian.com now to get six for RMB88, twelve for RMB150 or twenty-four for RMB280. Pick up days will be on April 17 and 18 from the restaurant. For more Easter events in Shanghai, click here.